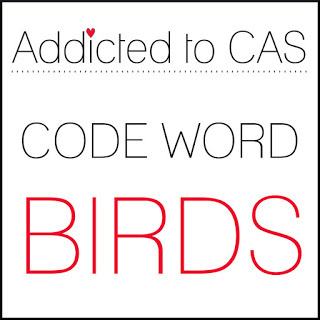 It's time for a new challenge at ATCAS, hosted by Ellenor with code word: Birds. Our Guest Designer is the wonderful and talented Izzy of Izzy Scrap. Her blog is full of awesomeness and you are sure to be inspired when you take a stroll through it. Challenge winner will receive a $20.00 gift certificate from Happy Little Stampers! I used STAMPlorations For The Birds stamps and dies for my creation. The colored strip is done with Distress Oxide inks. 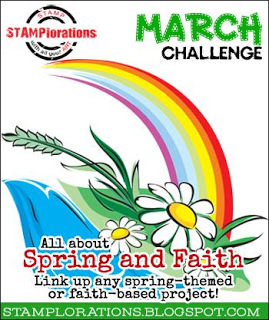 Please head over to the ATCAS Blog, and see what the awesome Design Team has created for your inspiration. Then go bird crazy, and create a card to play along with us. I can't wait to see what you come up with! This is such a sweet card... lovely sentiment!! Such a pretty card...that background is just perfect! Your ink blending is absolutely gorgeous, Stephanie! 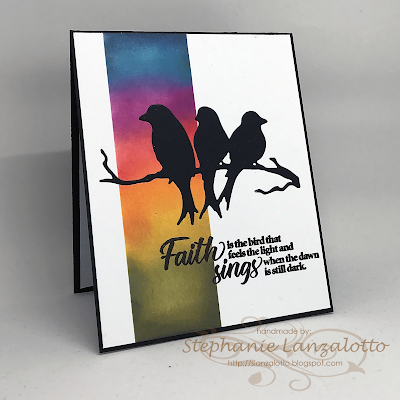 I love your color palette and how it makes your silhouette of birds pop on this card! I also love how you stamped the sentiment...so elegant! Absolutely beautiful Stephanie! LOVE the color strip with the silhouette and the sentiment is perfect! Fabulous creation! Thanks so much for joining us at The Sisterhood’s ‘Birds’ challenge and please come back again soon! What a stunning background for your birds!!! Beautiful colors for the side strip. Really makes the bird silhouette pop. Thanks for joining the Sisterhood's "Birds" challenge. Man, you have some awesome blending skills!! Love your card! I love that beautifully inked sunset panel, Stephanie. 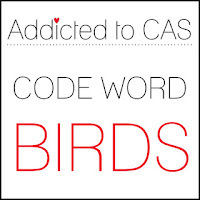 The birds are wonderful silhouetted against it and the sentiment is perfect.